Pediatric dental procedures performed with sedation can be nerve-racking, especially if your child has severe dental anxiety. 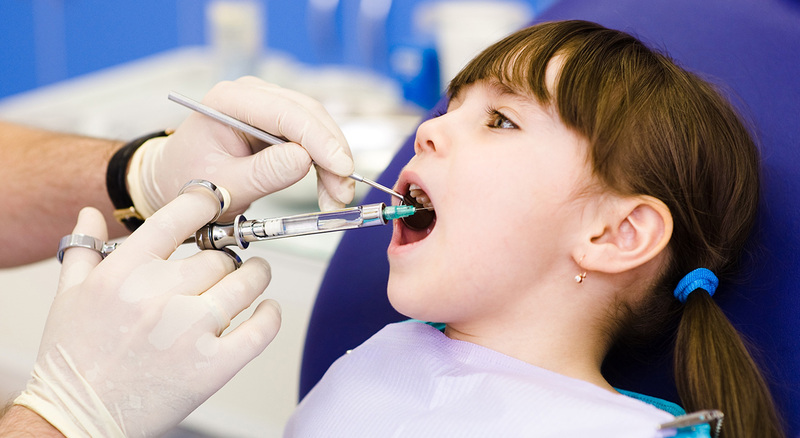 That’s why the friendly professionals at Wilson Pediatric Dentistry will discuss all options with you and help you choose the best one for your child, including nitrous oxide or general anesthesia. These options apply to procedures beyond regular dental exams. If your child is nervous about their regularly scheduled cleaning, please reach out to our office. Often, a nervous child or squirmy toddler will need nitrous oxide — also called laughing gas — to relax during a procedure like a cavity filling. It’s a safe option that works quickly and leaves the body quickly. We don’t use conscious or oral sedation that merely makes a patient drowsy. If your child has acute situational anxiety or other special circumstances, you may decide to have restorative care completed in a controlled environment under general anesthesia. While your child is asleep, it may be easier for your child to have multiple cavities treated at one time. Our doctors can better explain treatment options in the office and give you more information about our protocols. If we need to use general anesthesia for your child, we will help you prepare for both the sedation and anesthesia care. We’ll conduct a dental evaluation and ask about any changes in your child’s health or medicines prior to giving you specific paperwork to complete. After completion of all paperwork, your child is required to see his or her pediatrician. If this option is selected, our doctors and staff will give you all of the information you need and explain our policy and procedures. We’ll be available at an emergency number in case of concerns or complications. Let us help you maintain your child’s oral health without distress. Schedule your child’s appointment today.